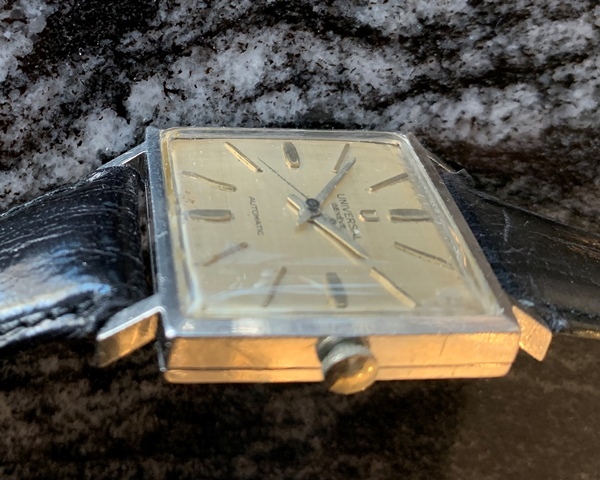 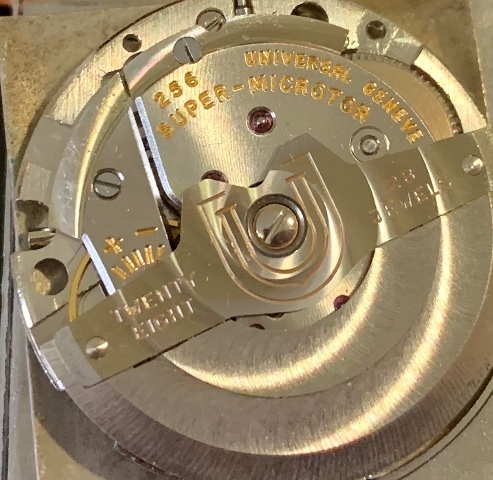 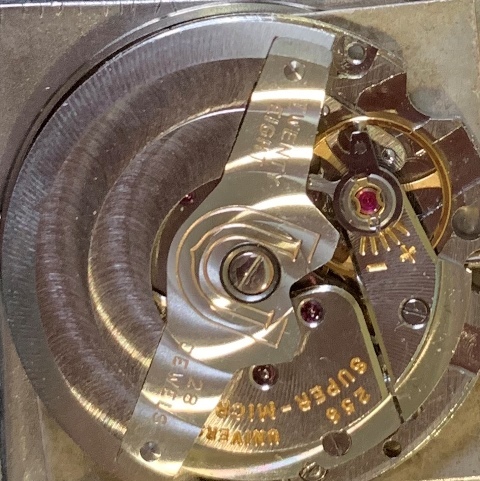 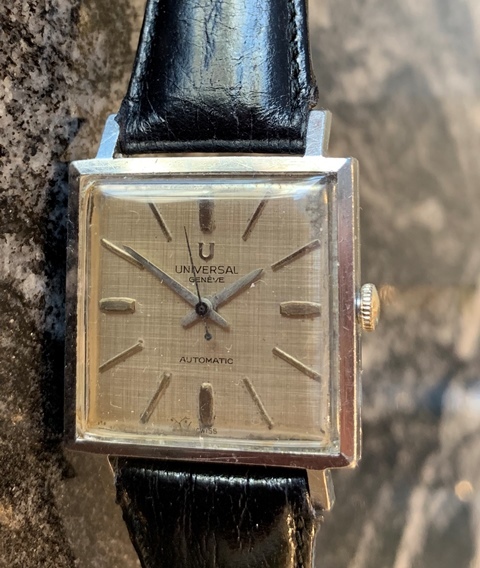 Stainless steel Universal Geneve circa 1962 – rare Super-Microtor cal 256 28 jewel movement. 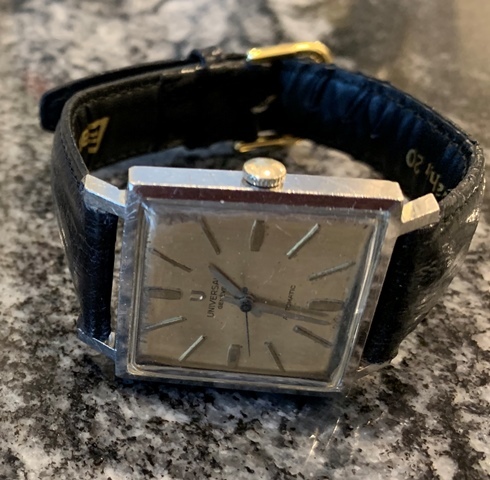 This watch has been freshly serviced and is ready to wear. 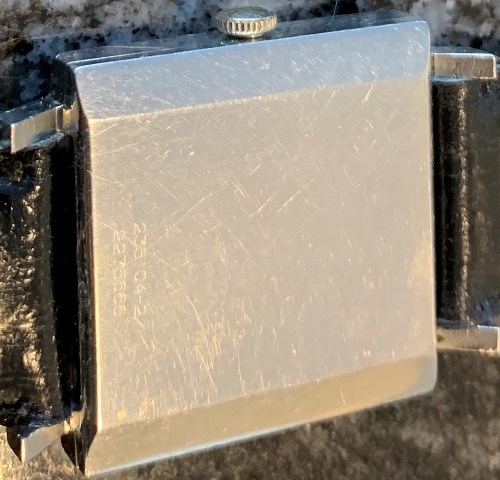 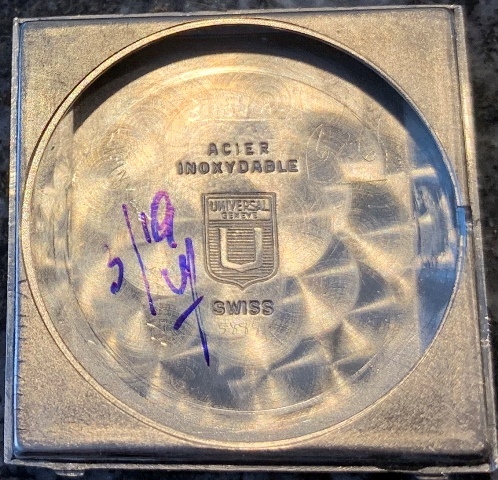 Photos are magnified and show details not seen by naked eye, the case measures 28.5 mm across (not including crown) x 38 mm lug to lug and is fit with a leather bracelet.